Description: Families are using the back road between the terraced houses for the celebration. Tables and benches have been laid along the 'backs'. 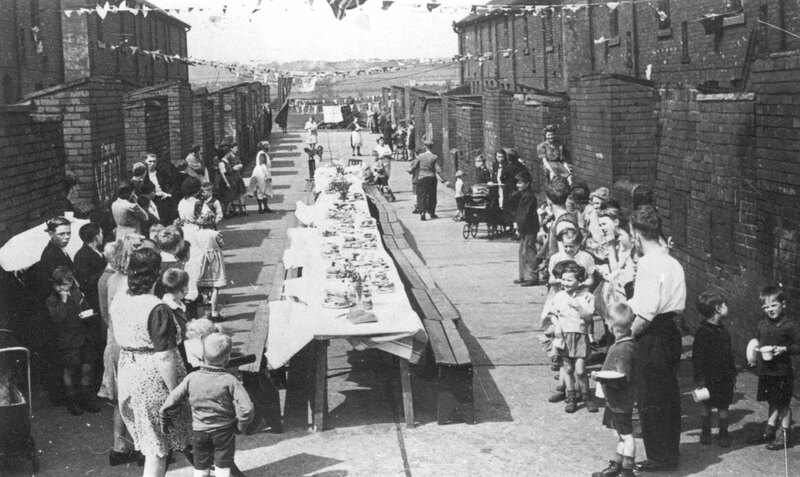 Food is on the table and bunting stretched between the houses.